For the first time in their 44 years of existence, the Washington Capitals are now the Stanley Cup champions. As we covered in our blog last week, the Capitals were on form in the earlier games of the final with a commanding 3 to 1 lead, and clear favorites to win. However, the last stages of the playoffs turned into a major battle between the two great NHL teams. The third period of Game 5 saw Devante Smith-Pelly and Lars Eller score to propel the Capitals to a clinching 4-3 victory over the Vegas Golden Knights on Thursday. The Capitals entered the third period trailing by a goal and facing the grim possibility of heading back to Capital One Arena for Game 6. But Washington’s depth shone through with Smith-Pelly and Eller stepping up their game again to deliver a resounding victory. Capitals players have been using NeuroTracker since 2015, and it was the depth of quality of their play ultimately made the difference against the Golden Knights. The achievement may signify a new era of sports vision training for professional sports. Star player Tom Wilson, who was instrumental in the victory, donned his 3D glasses and trained on NeuroTracker regularly to build up the mental side of his game. The Capitals haven’t stopped partying all over Washington after the win. 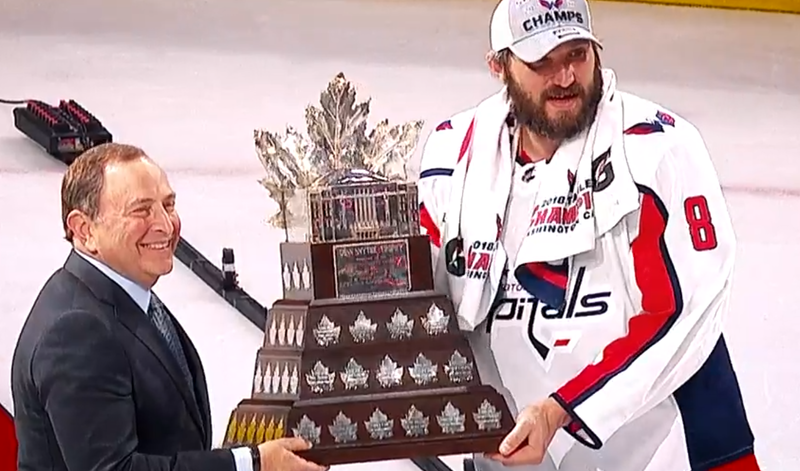 With the final staged in Vegas, the celebrations started when Alex Ovechkin first hoisted the Cup and carried on into the early hours of Thursday night after the team trekked down Las Vegas Boulevard to the MGM. Ovi carried the Cup through the lobby and the MGM casino, into Hakkasan, and directly to the stage where his friend Tiesto was ready to DJ. Since then many of the players have been partying all over Washington. They’ve certainly earned the right to let off some steam. The Stanley Cup playoffs are considered one of the most unique events in sports. The Capitals have the satisfaction of knowing they won possibly the most difficult championship to win in the sporting world. It took them a staggering 106 games through 2017-18 to prove themselves the cream of the crop in the NHL. We’re sure they’ll enjoy every sip they’ll take from the legendary cup. Some of the highlights of the Stanley Cup playoffs from start to finish can be seen in this video compilation. You can learn more about the Capital’s use of NeuroTracker in our previous blog.